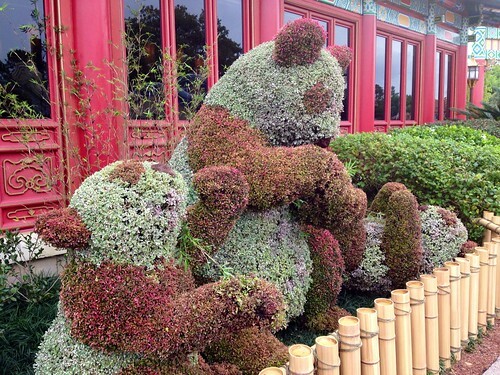 Topiary pandas in China, originally uploaded by Erin *~*~*. Ever since the video of the newborn panda that sneezed and scared his mom, pandas have enjoyed an increase in their notoriety. I always wonder if the topiary pandas are life – sized.